Often overlooked when branding your company. Email is one of the most used communication mediums that a company can use, however this marketing piece of gold is often overlooked when a company is focussing on branding. Simply inserting your logo as an email signature is simply not professional. 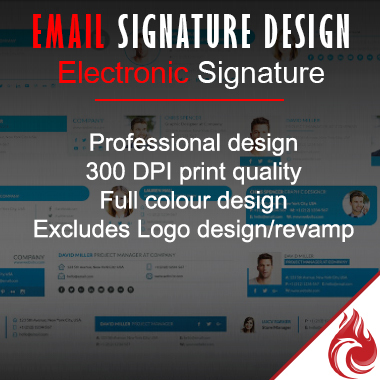 We will design you a professional Email signature to use for all your emails, and put your branding and colours in the face of your clients with every email sent!